Our range of brick pavers is highly used across the residences. These brick paves are used for architectural purposes and are offered in specifications as per the client's requirements. HSF (High Strength and Finish) range of pavers from VYARA are technically well designed, stronger than application needs and are available in several design and finish options. 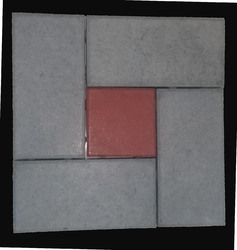 Our organization is renowned for providing our clients with an exclusive collection of Paver Tiles". Our range is available in the form of sedimentary rock and formed by consolidating & compacting of sand embedded in natural cement, such as silica. These types of tiles are also perfect to be used for interior and exterior construction. Area: 100 Sq. Ft / 450 Nos. Application : Parking, Partyplot, Exteriorground of bunglows& societies. Strength : M-30, M-35 And Above. - 100 Sq. Ft. = 435 Nos. Our range of brick paver is highly used across the residences. 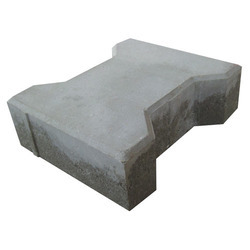 These brick paves are used for architectural purposes and are offered in specifications as per the client's requirements.These are very easy to install and can be customized as per client’s specifications.